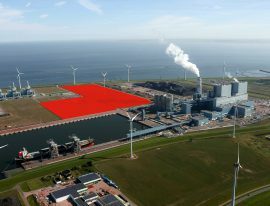 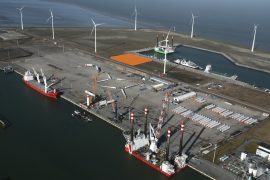 The Flushing-based BOW Terminal has definitively decided to expand its future offshore wind activities with a new logistics hub in the northern part of Groningen, the Netherlands, following an agreement to purchase a total of 22ha of land in Eemshaven. 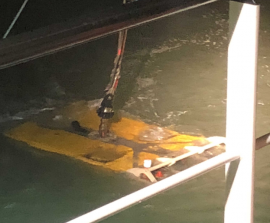 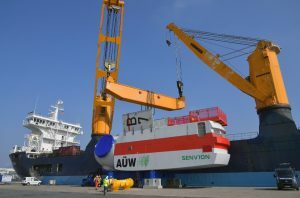 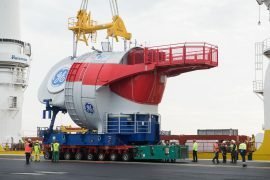 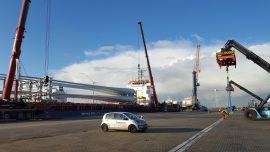 The Buss Orange Blue Terminal Eemshaven has signed a contract with GeoSea for port logistics services of 87 monopiles and transition pieces for the 497MW Hohe See and the 112MW Albatros offshore wind farms in the German North Sea. 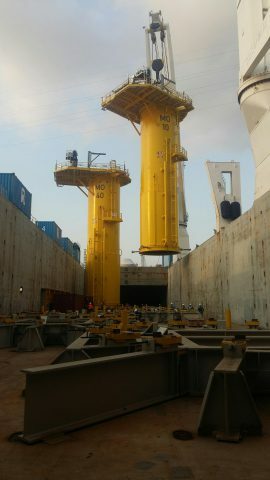 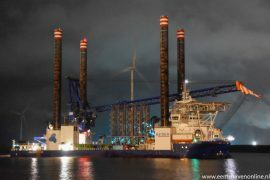 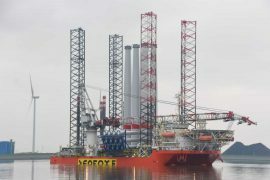 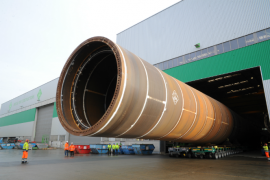 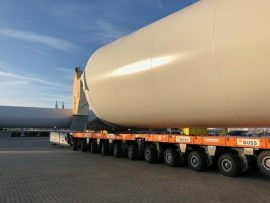 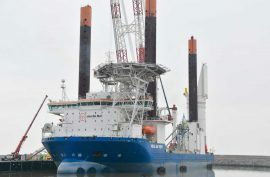 BigLift’s heavy load carrier Big Sky has arrived in the Port of Eemshaven in the Netherlands loaded with the first six of the sixty-six GE Haliade nacelles to be installed on the 396MW Merkur offshore wind farm in the German North Sea. 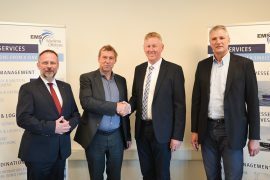 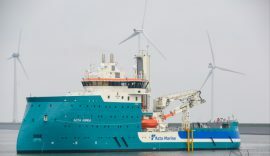 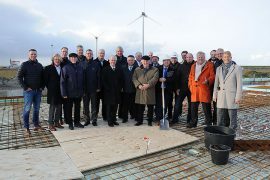 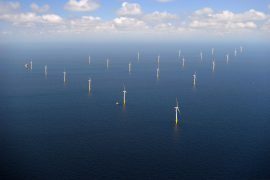 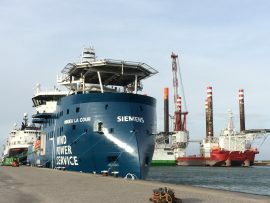 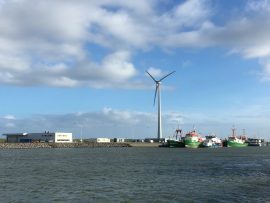 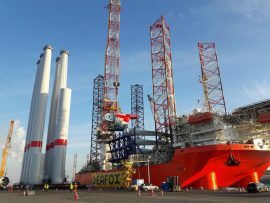 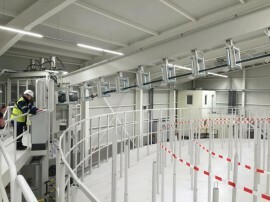 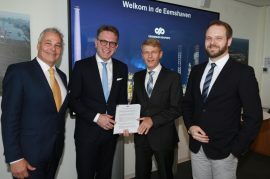 Merkur Offshore, the developer of German Merkur offshore wind farm, has signed a long-term contract with the Dutch subsidiary of EMS Maritime Offshore (EMO) for the construction of a service base in Eemshaven, the Netherlands. 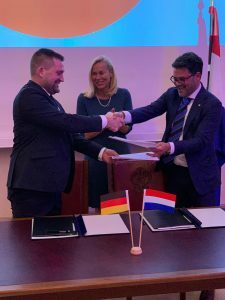 BOW Terminal has signed a letter of intent to open a new logistics hub in the Port of Eemshaven, in the northern part of Groningen, the Netherlands. 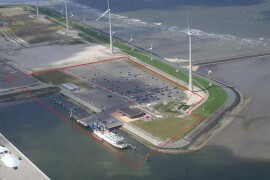 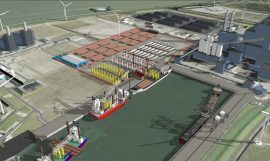 Offshore wind service provider DHSS and Bek & Verburg, a specialist in waste collection and segregation, will build an offshore wind farm service hub at an A1 location in Beatrixhaven, at the heavy cargo quayside in Port of Eemshaven.